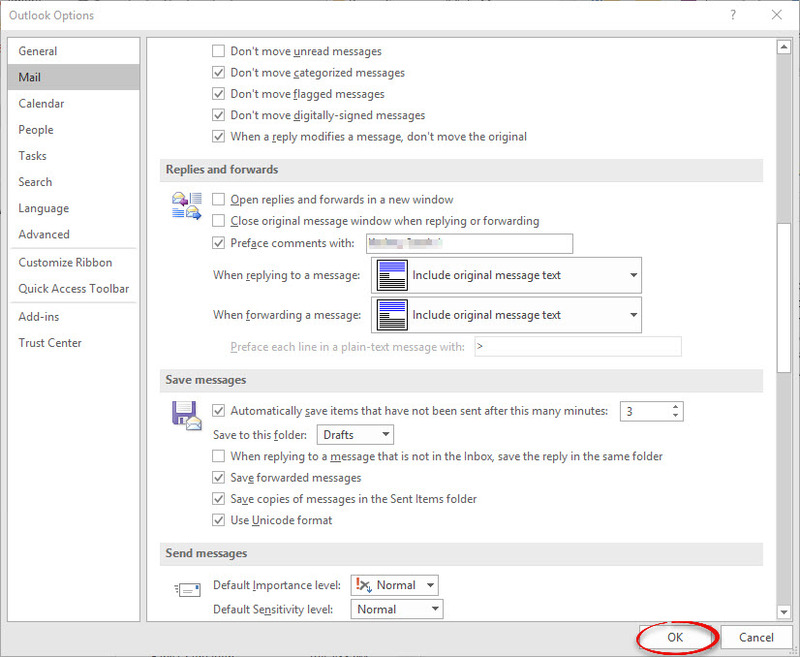 If you receive an e-mail containing questions, you may have to retype the questions before the answers when replying. Here's how to eliminate the need to retype the questions, prefacing the answers with your name in the same message body. 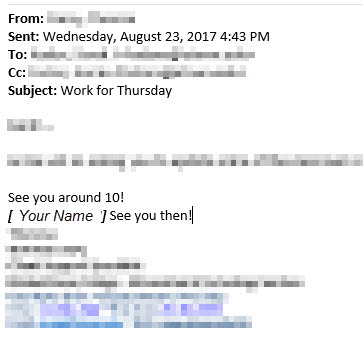 Step 1:Personalize your copy of Office.Step 2:Open Outlook. Select the File tab and click Options. 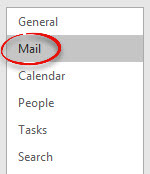 Step 3:Click the Mail menu. Step 4:Scroll down to the Replies and forwards section. Check Preface comments with. Type your name in the text box. Step 6:Open the message to which you want to reply, and click the Reply button. Step 7:Instead of beginning your reply in a new section, type your comment in the text of the message you're replying to. Your comment will be prefaced with your name, much like a message or chat thread. Step 8:Click Send when you are finished typing the comment.